A recent case involving cyberbullying resulted in the suicide death of a teenage girl. ABC News reports that three teenage boys sexually assaulted a teenage girl at a party. They took photos of her, posted them online and shared them via text messaging. The girl saw the photos online and took her own life eight days later. While the original alleged sexual battery is bad enough, the additional cyberbullying proved to be too much for this teenage girl. This is a profoundly sad example of the horrible effects of cyberbullying. Technology has created a new channel for bullying. According to CNN, 25 percent of children experience cyberbullying at some time, and nearly 10 percent have experienced it in the past 30 days. Many schools have anti-bullying programs in place, and some are beginning to incorporate the “cyber” element. 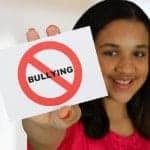 New Jersey has enacted an anti-bullying law that includes training on how students can recognize bullying in any form and how to report it to a hotline. Children often resist reporting cyberbullying; they may fear being identified as an accomplice, or they may fear retribution by the bully. Education is critical for the child to know how to spot the signs of bullying and report it before something serious happens. 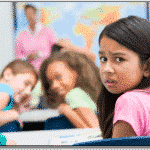 How Do I Know If My Child is Being Bullied? If you suspect that something is going on, talk to your child. If he or she is not forthcoming, speak with the parents of your child’s friends. Your child may have confided in their friends, and would have eventually made it to the parents. Also, make sure you are educated on bullying facts. 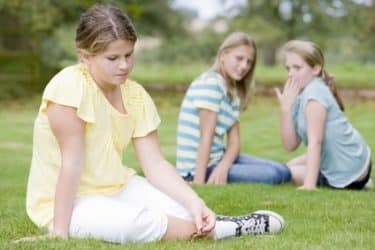 What Do I Do If My Child is Being Bullied? Talk to your children often. Make it a priority. Spend more time listening that talking. Assure them that they did nothing wrong, and discuss the positive things that happened in their day. Help your children become active in a number of things they like to do. Find ways for your children to expand their circle of friends. Find opportunities for them to be with children with the same interests. 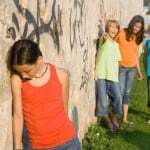 The U.S. Department of Health & Human Services maintains a website on how to prevent bullying, Stopbullying.gov. 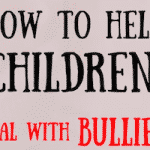 It contains a number of tips on how to communicate with your children if you suspect they are being bullied. Another Cybercrime: How Do I Know If My Child’s Identity is Safe? Recent Lifelock service reviews attest to the ever-increasing problem of identity theft. Educate yourself on how to deal with a suspected child identity theft because the sooner you act, the easier it will be to resolve. Please know also that you can learn even more about child identity theft in this information by the Federal Trade Commission. 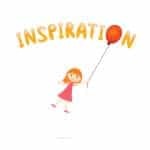 Protect your children from online bullying and protect their identity by getting educated because the more you know about these modern day problems the more swiftly and effectively you will be able to deal with them should the need arise. Search our 8000+ writing ideas & prompts!